While data parallelism aspects of OpenCL have been of primary interest due to the massively data parallel GPUs being on focus, OpenCL also provides powerful capabilities to describe task parallelism. In this article we study the task parallel concepts available in OpenCL and find out how well the different vendor-specific implementations can exploit task parallelism when the parallelism is described in various ways utilizing the command queues. We show that the vendor implementations are not yet capable of extracting kernel-level task parallelism from in-order queues automatically. To assess the potential performance benefits of in-order queue parallelization, we implemented such capabilities to an open source implementation of OpenCL. 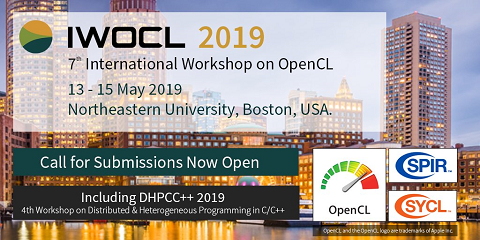 The evaluation was conducted by means of a case study of an advanced noise reduction algorithm described as a multi-kernel OpenCL application.